This past weekend I co-hosted (with my mom) a shower for my cousins fiancee. I did not have a chance to take many pictures, but I did get a few. We had tea sandwiches, fruits (I made some chocolate dipped strawberries), veggies, cheese tray, pasta salad, deviled eggs, a delicious dip made from hummus, bruschetta and softened goats cheese (you bake it for 20 minutes) so good! My mom and I both love to bake and decorate cakes, so we decided that we would each do one. Chocolate for me (very fitting!) and white for her. 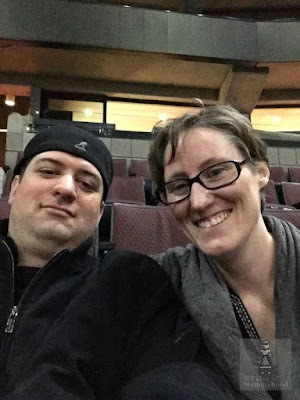 I attended a baby shower a few months ago, and the favours given out were bags of popcorn that read "Emma is about to POP!" I absolutely loved it and knew it would be great for a bridal shower as well. 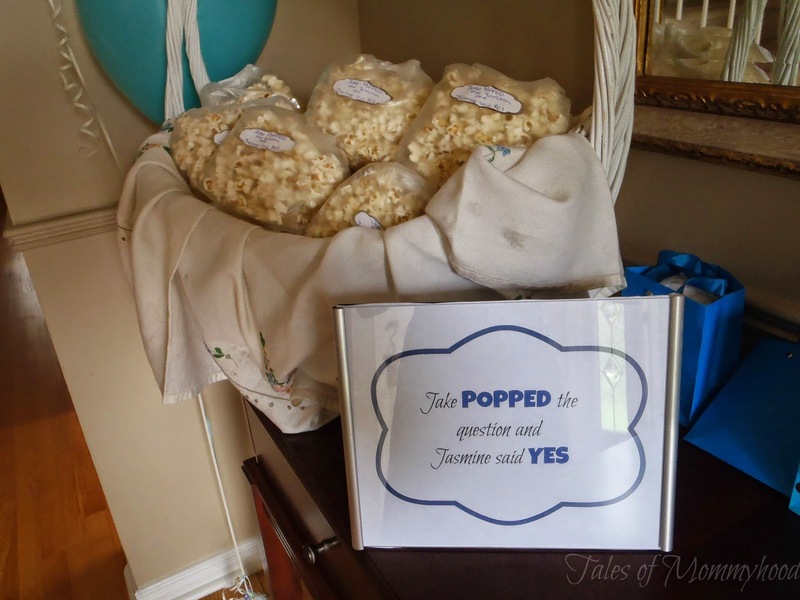 We used Kernels butter salt popcorn, and the tags read "Jake POPPED the question and Jasmine said YES"
I really love the popcorn idea! So cool. thanks! It seemed to be a hit! 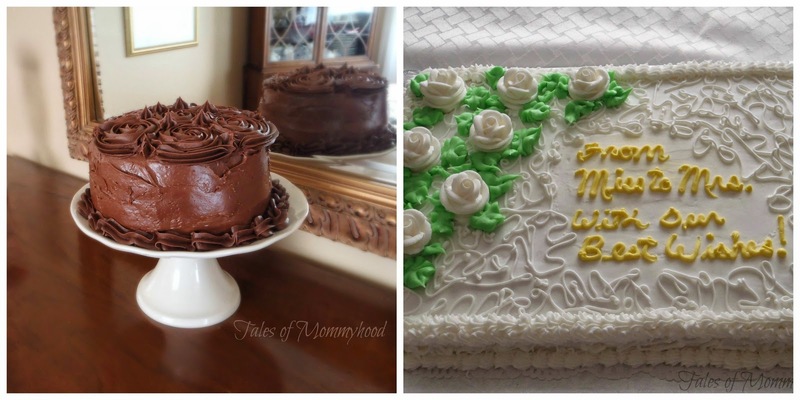 Always looking for another great idea for bridal/baby showers, this one is a keeper. I will be hosting a bridal shower later this year, I will certainly be keeping this idea in mind. oh my gosh the cakes look amazing!! love your punch bowl too. thanks for stopping by! We actually prefer to keep games to a minimum - we would rather spend the time chatting! I loved everything about your Bridal Shower. You are lucky to have your Mom to help as well. I think you did the food beautifully and the cakes were awesome. I love the popcorn idea!! You have given me some great ideas for a baby and bridal shower.I have a great niece getting married this fall,and I will be using some of your ideas.Thanks for sharing! That punch bowl is so cute! (Bridal Shower Fun) So many great looking things for a Bridal Shower, I like all the wonderful idea's. MORE SPAM from you on SuperPoints! You need to be BANNED!